While TVs, cars, and robots stole the show at CES, another thriving tech industry is rideables including e-bikes and scooters. Many newer companies were seen here and there with their new rideables in the exhibit halls, but we know Swagtron as one of the more established companies in this sector. Swagtron has been a leader of this field for the past few years since the first UL2272 certified hoverboards. It was able to show us its new offerings for this new year from their private suite. We test drove one of these babies down the hotel corridor and had a polished stable ride. 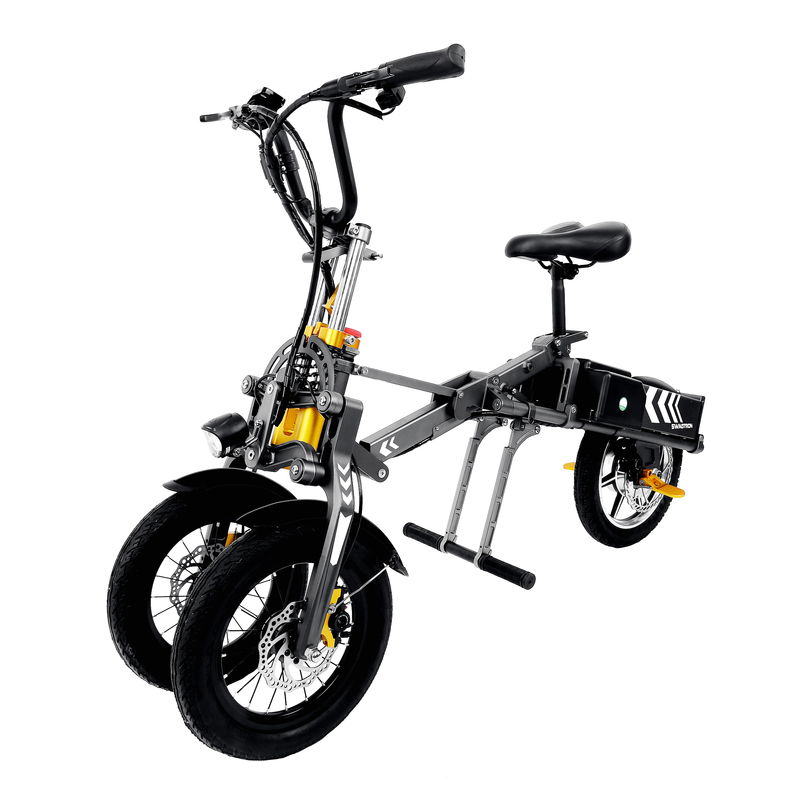 The biggest change from the last version is the welcome addition for pedal power. These are bikes, first and foremost, so having the ability to pedal is probably more of the more natural upgrades for comfort and extra usability in a jam. I’m not a tall man by any means, but I definitely had a comfortable seat and riding position, especially with the new adjustable seat. 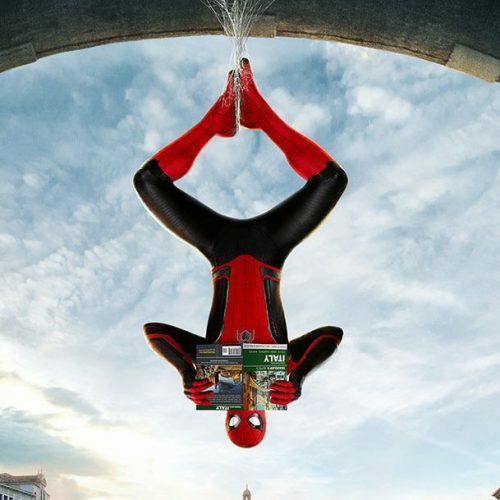 I can see even taller people able to adjust the seat a lot higher for a comfortable ride. 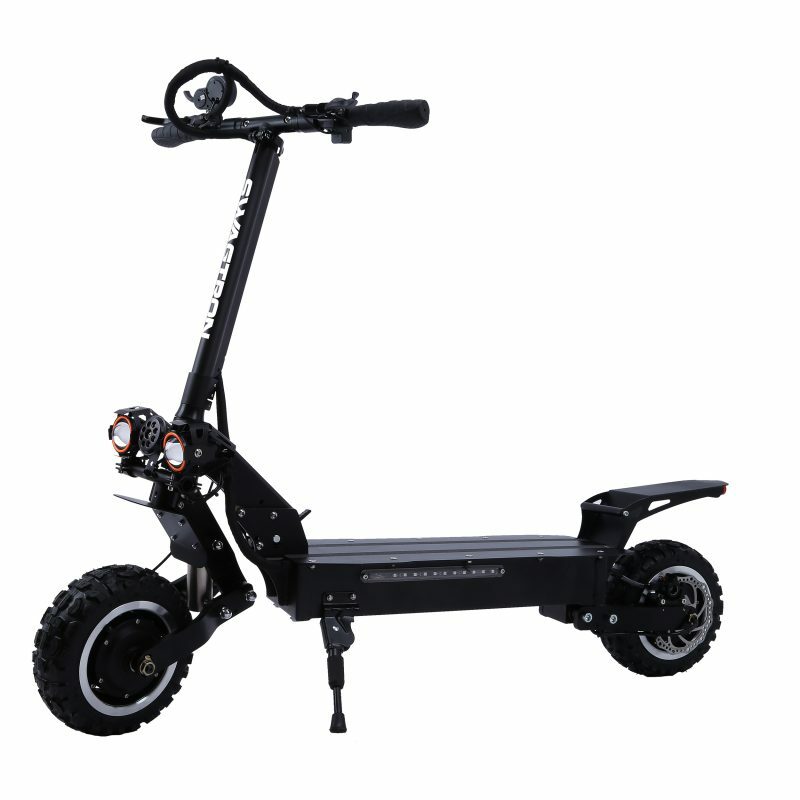 You couple all this with the rear suspension and you have a smooth way to get around town. Some days you feel like scooting to the store, and some days you feel like sitting on an e-bike. With the Swagger Hybrid Convertible, you essentially can have it both ways. 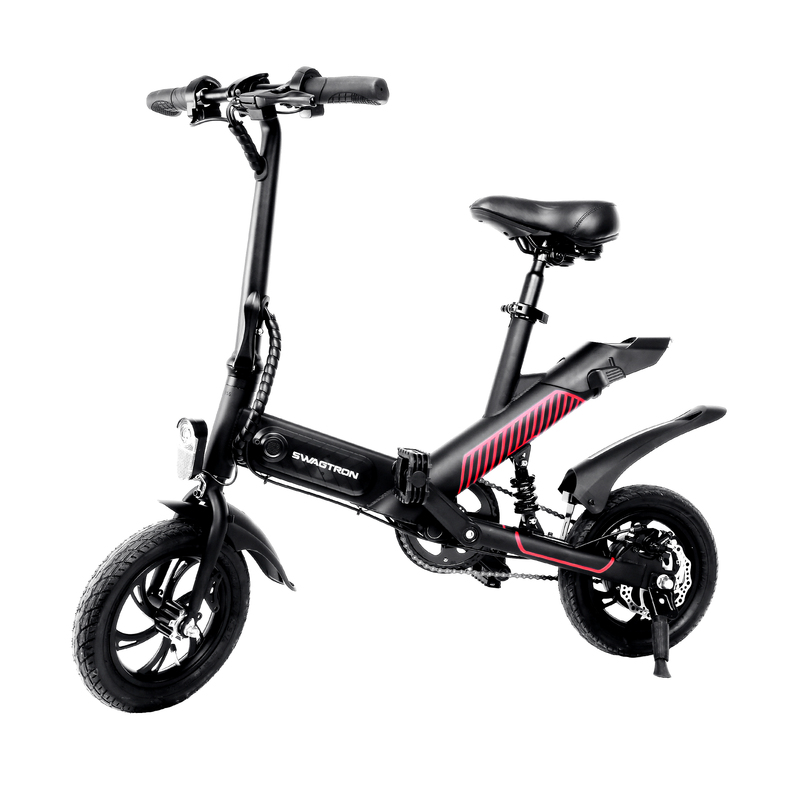 The same 300-watt motor powers both of the modes and with that much power in the engine, we can imagine that you’ll be able to zip through traffic without much effort. 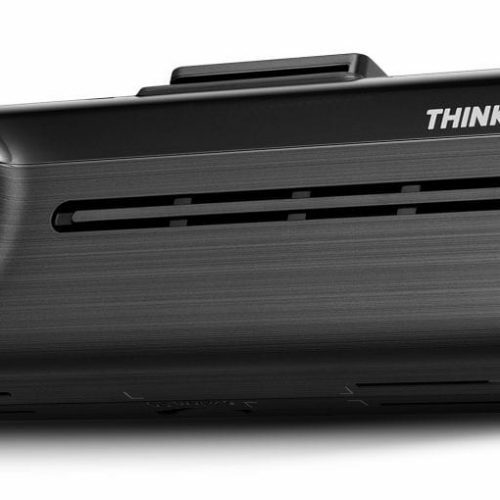 One of the standout features is the convertibility, but it does present an awkward structural shape. This same shape has been used in Swagtron’s kid’s offerings so this product is more of a tried and true option for adults that want the dual mode options. We are sure it’s a nice stable ride. That strong 300-watt motor is just icing on the cake. 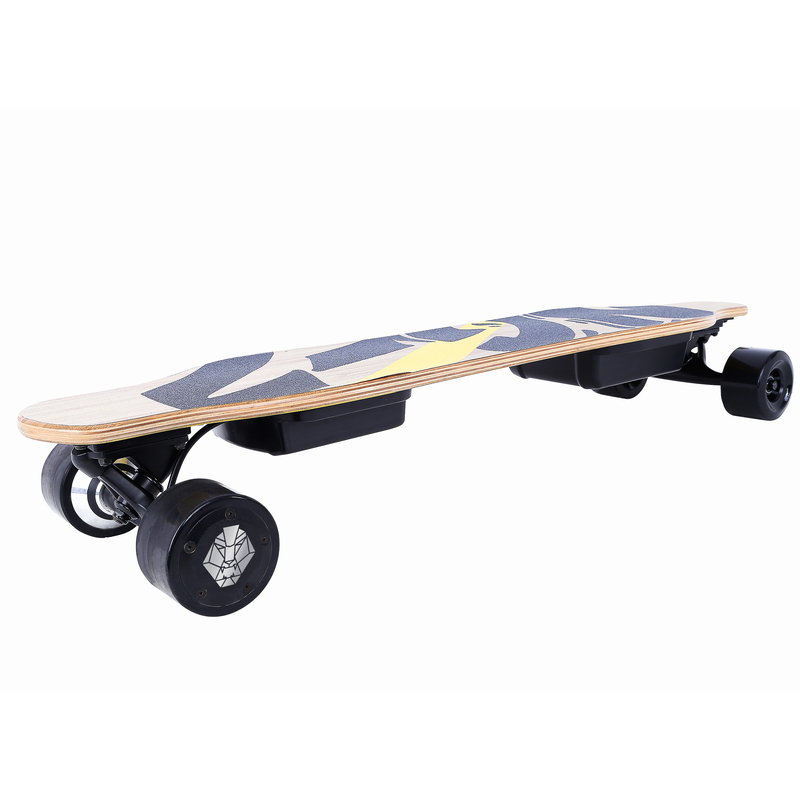 With the Swagtron Electric Skateboards, it is always skateboard season because these skateboards are built for all terrain. 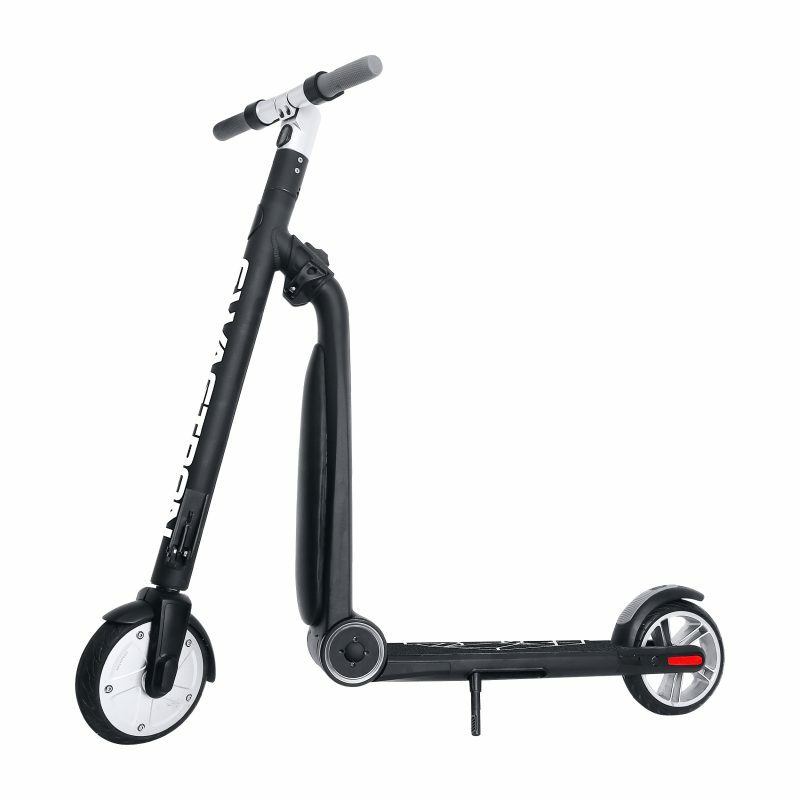 Swagtron is introducing 3 models this year, which vary in utility and style. 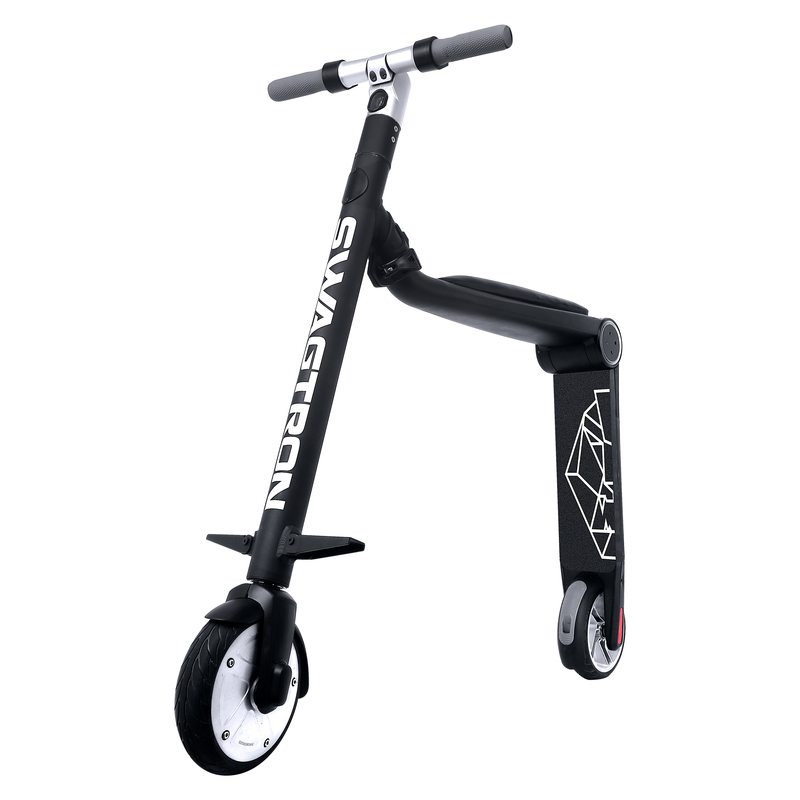 My personal style would lean more towards the off-road option in order to ride over those unexpected divots on the street, but for the easy-rider, the NG2 Electric Longboard would be your ride. For the undecided, Swagtron also has an answer for that. 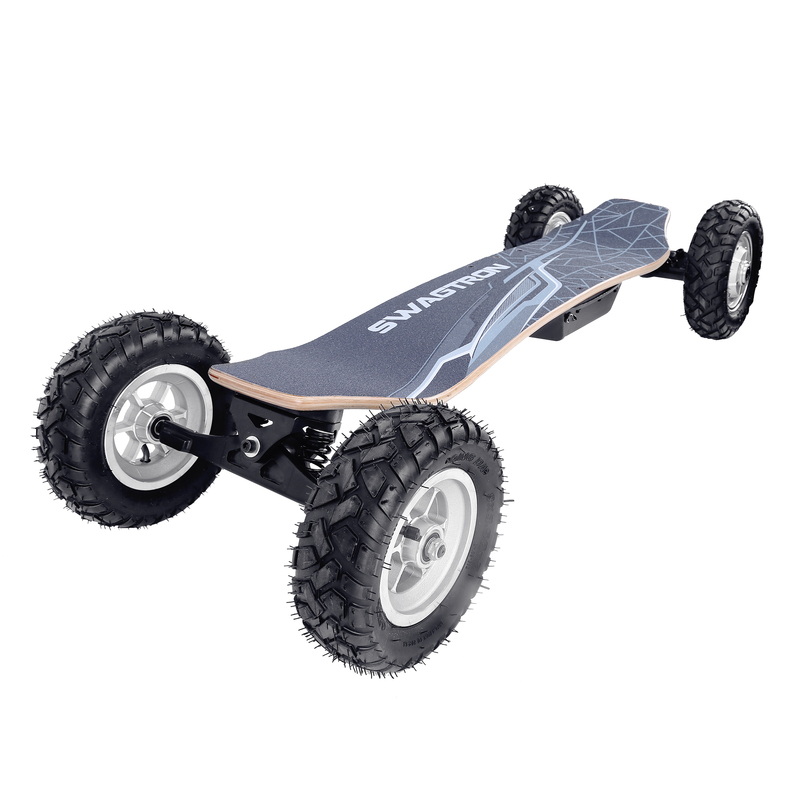 The Swagskate Modular is a beefed up 2000-watt motor version of the off-road skateboard, but the allure is the interchangeable tires. 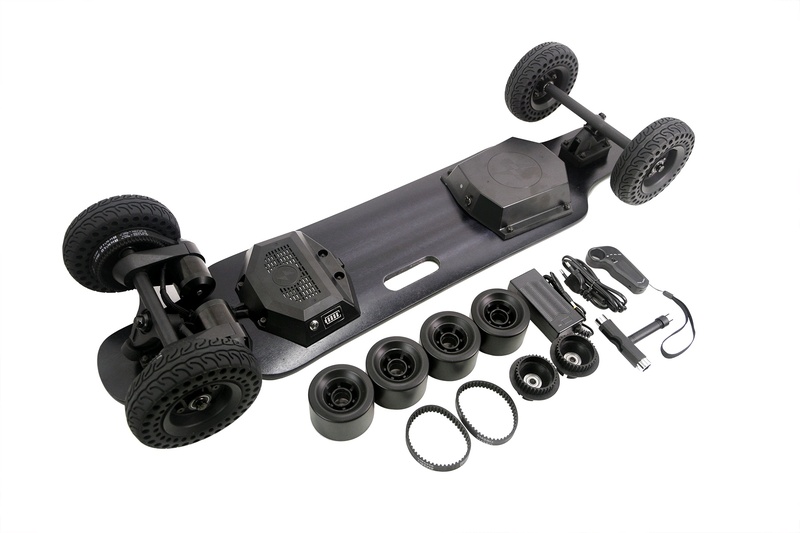 The modular board comes with all the tools to change between traditional 83 mm urethane wheels and 6-inch airless off-road. We were not able to test out all the other products being offered this year, but definitely check out these other future products from Swagtron. Swagcycle Commander Trike, why yes, we are also curious how this scooter performs. 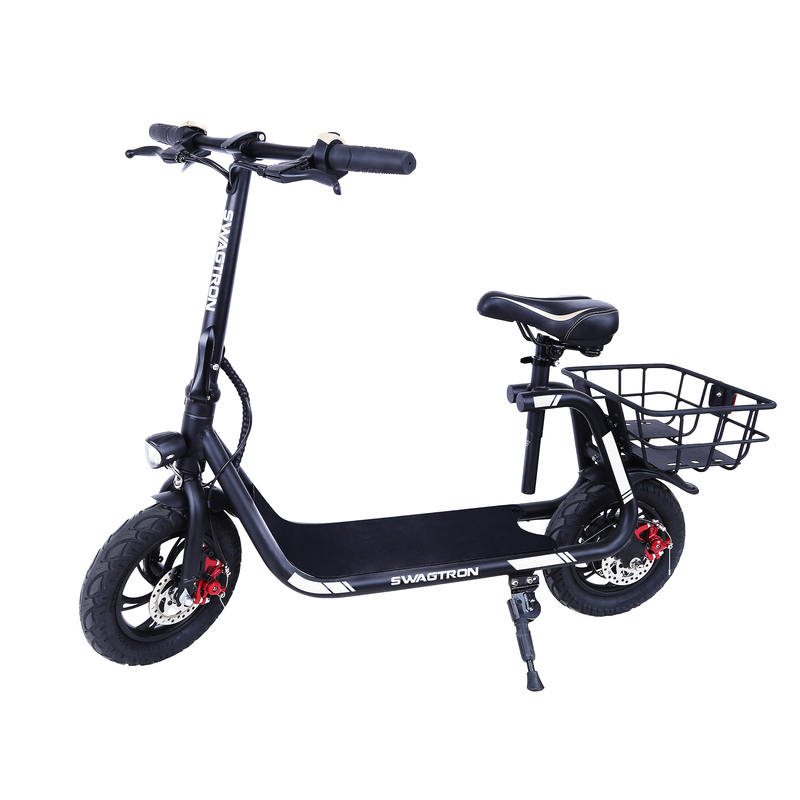 Swagtron products can be purchased directly from their website and it is currently offering free shipping on all rideables. You can also find their products on Amazon. For more info, visit Swagtron.